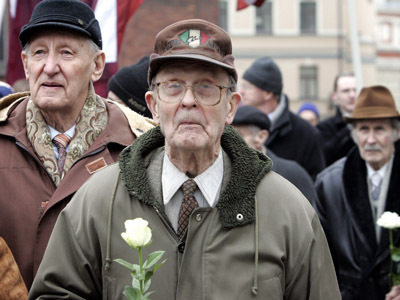 Latvian government has prohibited its ministers from taking part in the annual march of Waffen-SS veterans and their supporters in Riga. 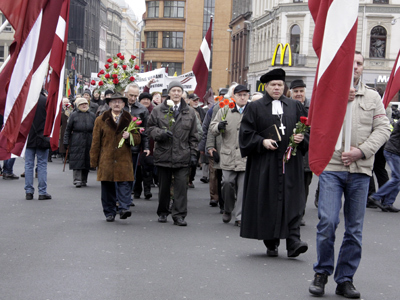 About 1,500 people attended the event, which has been held in the Latvian capital for nearly two decades. 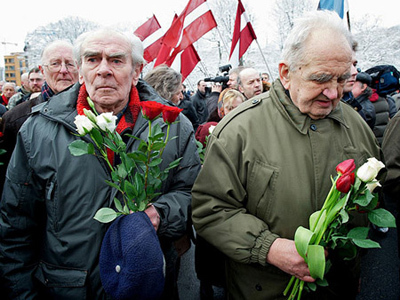 Latvian Prime Minister Laimdota Straujuma has already fired the country’s environment minister, Einars Cilinskis, of the right-wing National Alliance, who ignored the government’s order and declared on Friday that he would be attending the pro-Nazi march on Sunday. Straujuma’s spokesman, Andis Blinds, said that the PM had “no choice but to dismiss Cilinskis” in view of the “particularly sensitive” situation in Ukraine, AP reported. 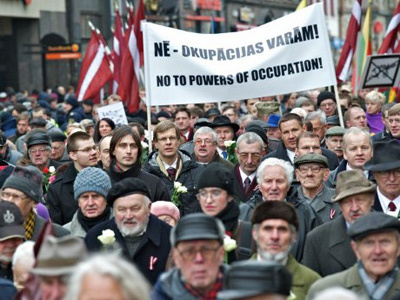 Latvian authorities have said they are worried about protests by the country's Russian-speaking minority, which makes up to one-third of Latvia’s 2 million population. 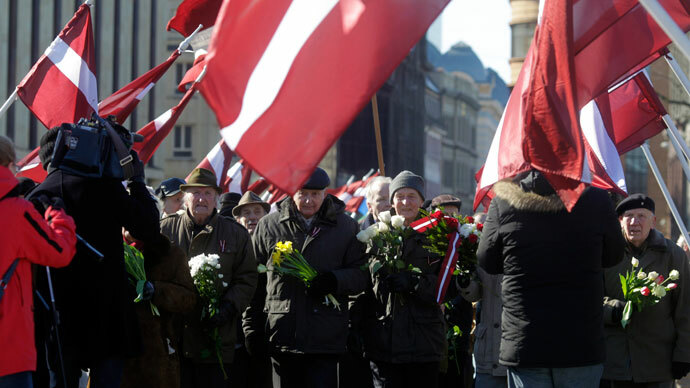 Russian-speaking residents of Latvia consider such marches an attempt to glorify Nazism. Straujuma “gave him time to reconsider his participation, but unfortunately he decided to participate,” Blinds said. 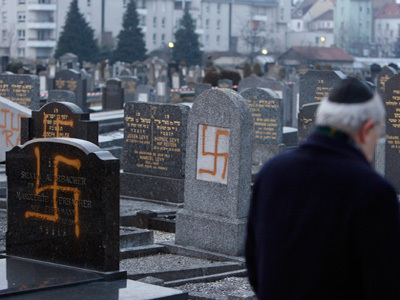 The annual parade commemorating Nazi collaborators during World War II has not been banned, however. 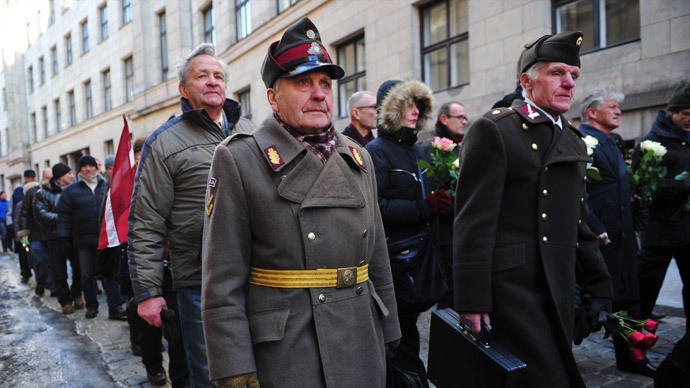 An estimated 1,500-strong column of nationalists, led by a group of Waffen-SS veterans, walked through the Latvian capital to lay flowers at the Freedom monument. The parade was protected by guards from a private security company. 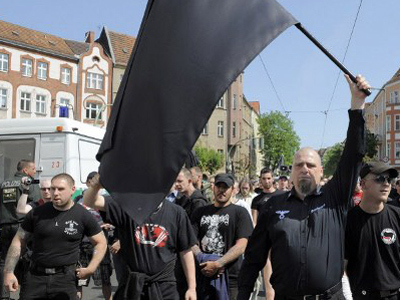 The gathering near the Freedom monument was opposed by several dozens activists chanting anti-fascist slogans. A sharp argument exchange took place between the two groups, but a heavy police presence prevented any kind of violent clashes. 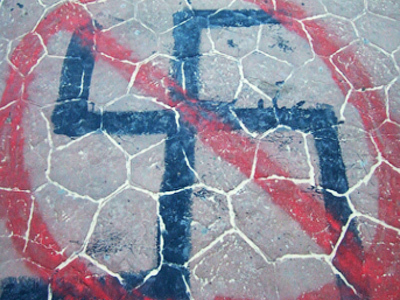 Political analyst Aleksandr Gaponenko told Rossiyskaya Gazeta newspaper that the sudden change of mind toward the Waffen-SS march came after the US and Germany put pressure on Latvia’s authorities to address the issue of permanent Russian-speaking alien residents and distance themselves from the nation’s neo-Nazi radicals. 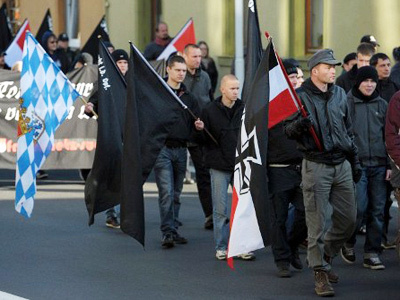 “The Americans and the Germans fear that the parade of [Waffen SS] legionaries and their radical nationalist fans might trigger events similar to the Ukrainian scenario,” Gaponenko said. 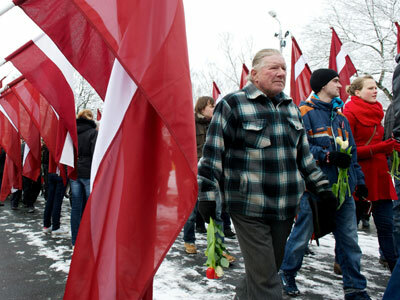 The image of the Latvian state would suffer great damage if headlines in the international media about the referendum in Ukraine’s Crimea autonomy would come side-by-side with the news about Nazi glorification in Riga, Gaponenko said. 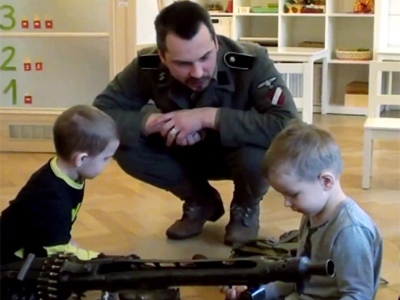 The Latvian Waffen-SS legion was founded in 1943 and was actively used by Nazi Germany in reprisal raids against partisans and the civil population on the occupied territory of Russia, Belarus and Poland. 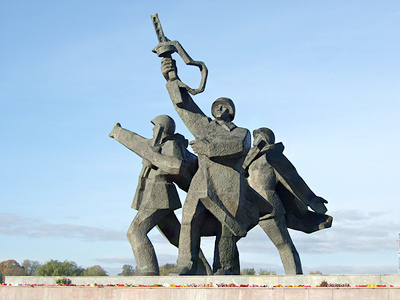 On March 16, the legion was for the first time deployed against Soviet troops. At the end of WWII, most of the servicemen of the Lithuanian Waffen-SS legion surrendered to the Western allies, not to the Soviet Red Army.